Sudha Rustagi College of Dental Sciences and Research aims at imparting quality education in the field of dental science. The past years have seen phenomenal growth and we owe it to the Faculty members, Staff members and Students of the college who made us proud. The college has earned a leading position across the country in its fraternity. The college produces university toppers each year to live up to the expectation of the academic community. Considering that society requires contribution from an entity like us, we have been continuously providing free services to the local populace in order to create awareness about importance of dental hygiene. On regular basis, dental check-up camps organized by the college help people come to know seriousness of dental health. Taking one step further, our college is also engaged in providing financial assistance to both needy and meritorious students. We are also focused on the promotion of science, fine arts, sports, dharamshalas, handicapped and disabled persons, other Public Charitable Trusts so that more and more people could be served. Bearing in mind that education is the only tool that uplifts the standard of society, there is a very wide prospect behind providing education by Sudha Rustagi College of Dental Science and Research. The college has vision of becoming source of knowledge in the field of dentistry. 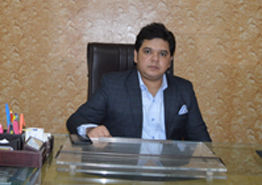 Our dream is to become a pioneer institution of learning, imparting not just quality education and treatment but providing ethical and caring dentist.We also have plans to widen the scope from dental science to medical, paramedical, nursing and allied fields, which will help in availing medical education and health services at affordable cost to the needy. The college has already made available quality, infrastructure, faculty, modern tools and methodologies for course delivery. It is indeed a great privilege to be associated with SRCDSR family! I, the Principal to Sudha Rustagi College of Dental Sciences & Research, welcome to the students who want to make their career in the field of Dental Science. 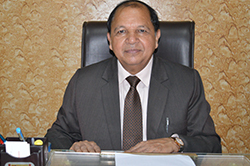 I assure that student participating in the courses at our college will be provided with world class education-environment to enable them to become one of the best healthcare professionals in the next five years, newcomers will experience toughest challenges on their way to moulding their careers with guidance from experts, they will surely achieve greatest position in their personal and professional life.